For 2017, Raisin plans to continue to provide savers across Europe with attractive and exclusive offers for their savings and to broaden its reach by offering localized platforms for additional markets, further broadening its partner bank offering and entering distribution partnerships with banks across Europe. Under the brand WeltSparen, Raisin GmbH has offered an online marketplace for deposit products of partner banks in the European Economic Area since 2013. 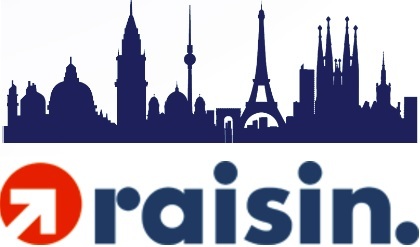 The Raisin platform is now available across Europe in English and localized platforms exist for Germany, France, Spain, and Austria. Raisin gives customers the possibility to open deposits at attractive interest rates across Europe free of charge. Previously, customers had to contend with varying, complex account opening procedures in foreign languages, sometimes requiring physical presence in the country. These are no longer a concern with Raisin. All deposits are 100% guaranteed up to €100,000 per saver and bank by each national Deposit Guarantee Scheme in accordance with EU directives. Raisin does not charge any set-up fees and offers attractive interest rates via its 27 partner banks.